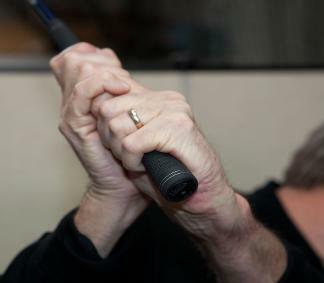 February 2011 Newsletter: The Role of the Hands in the Golf Swing. 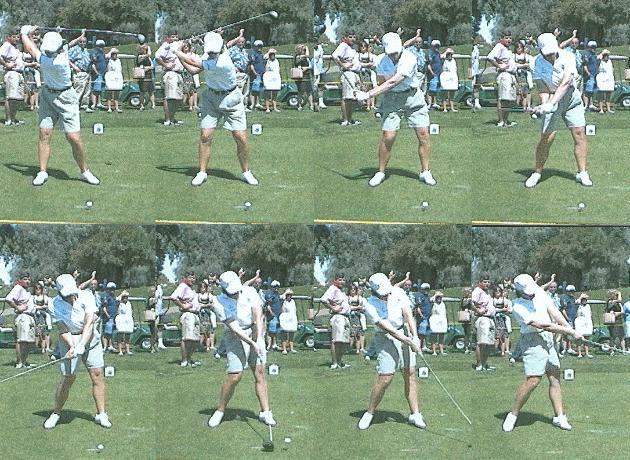 Good golf swings can be effective with a variety of different looking backswings and positions of the body. exhibits perfect use of her hands in the downswing. forearm to square the face. 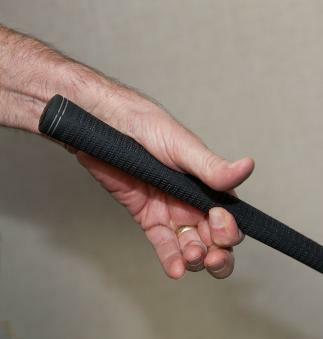 to learn to delay your wrists until the bottom of your swing. Please examine the keys and tips that follow. left hand. It must be on top of the grip to secure it. Please study the two photos below. 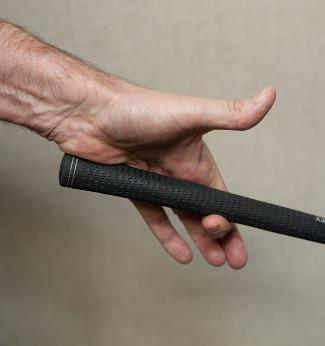 incorrect position where the clubs grip is resting between the palm pad and the thumb pad. hand and this is will feel very insecure, hence I will need more pressure with both hands to secure the club. You want to secure the club at the top of the back swing with as little pressure as possible. 2. 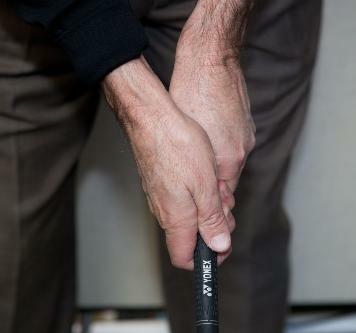 Keep the hands "quiet" as your start the downswing. out in front of her right shoulder. swing. Feel the retention of the angle. Repeat it over and over. This is good grip to copy. other. Almost in a prayer position. This allow my hands to work as a unit. fast you need to do this to hit it straight. 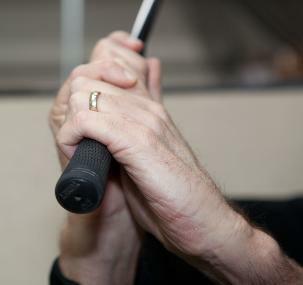 TIP: A great way to feel a late hand release is to use the "swish drill." Take your driver and turn it upside down. swoosh sound as late as possible in the downswing....if you can....get it past the bottom of your swing. Hands, or what Sports Biomechanists call "Fast Twitch Muscle Speed." This is something you are born with. over an out of control fast hands player every day.